Heineken is dutch for beer. They partnered with globally popular DJ Tiesto for a concert series. We created an app that allowed concert goers to interact with screens at the show, in bars and on Facebook. 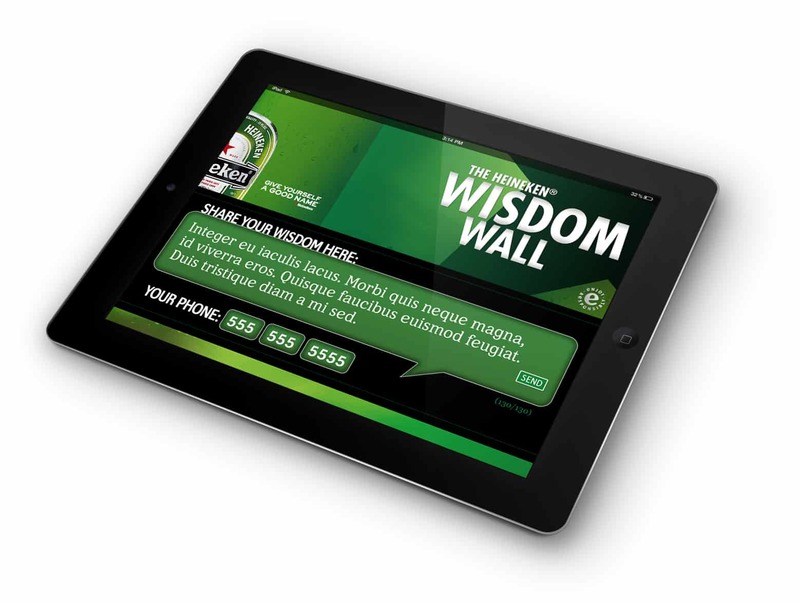 My team created the designs and graphics for these "walls" as well as for an early iOS application. As CD, I oversaw the work and also had a hands on roll in setting the design tone.